System File Checker, or 'SFC' for short, is a built-in Windows tools that checks for system files that may be corrupt or missing. Go to "Start" and search "cmd"
At the first option, "cmd" right click it and in the bottom menu choose "Run as an administrator"
You may receive a UAC prompt; confirm it. Right click on the first item and press "Run as an administrator". 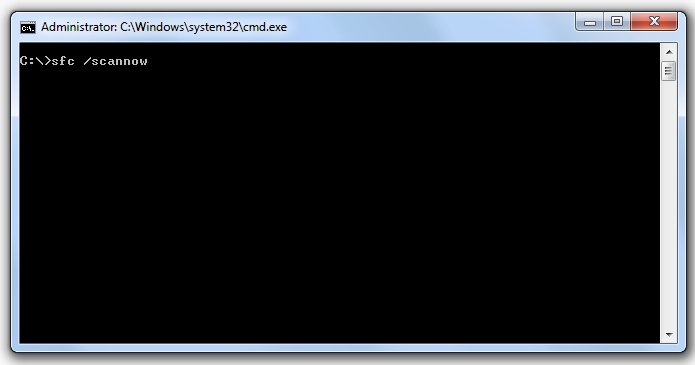 Once you've opened an administrative Command Prompt window, run the command: sfc /scannow. Press Enter and let the command run, this will take a while. When the scan is complete, you are given results through the command-line window. After this is complete, restart the computer.